Hiring a new employee is an exciting time for any business. It means you’re adding another player down a successful path in your company. However, the steps needed to walk down that path of success can be difficult. Learning new technologies, trends, and systems is a lot to take in at a new job. 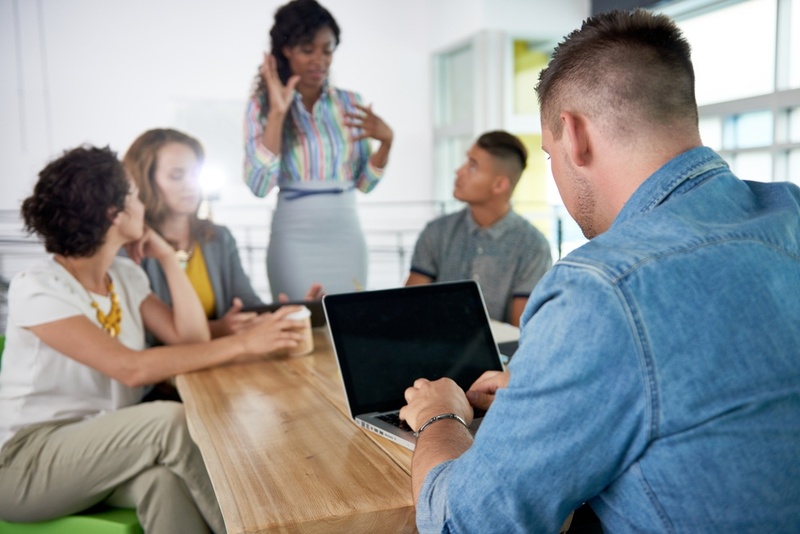 With these four free certifications, your new hires will be able to quickly learn different and relevant programs that your company most likely will use on a daily basis. Discover how these tools can make a difference with any new employee experience. Google AdWords is one of the most useful methods of bringing traffic to one’s site. With Google being the largest search engine on the Internet, the more you take advantage of this tool, the more benefits you will reap. However, for your AdWords to be effective, you need to actively participate in the AdWords campaign and choose titles, provide descriptions and images, understand keywords, and so on to earn a profile off of Google AdWords. That’s why the certification is perfect for any new hire to dip their toes into! While Google recommends that you have hands-on experience using Google AdWords, it is not required. You can review their study materials and take the exams for free. If you do not pass an exam, you can re-take it again in seven days. The other Google certification is the Analytics. Being able to interpret the visitor behavior data that Google Analytics gathers is critical for finding out what is working, what isn’t working, and maximizing your site’s performance. Having the skills to get the most out of Google Analytics allows for you to create customized dashboards and use best practices with analytics intelligence. While Google recommends that you have hands-on experience using Google Analytics, it is not required. Even if you have used analytics software before, Google’s certification program gives you a structured path to master the Analytics suite. New employees, whether experienced in this area or not, should be required to pass the Google Analytics certification. There is a difference between reading through tutorials and truly understanding what the data means. This certification allows your new hire to either build upon or further expand their online understanding. HubSpot offers several certifications. 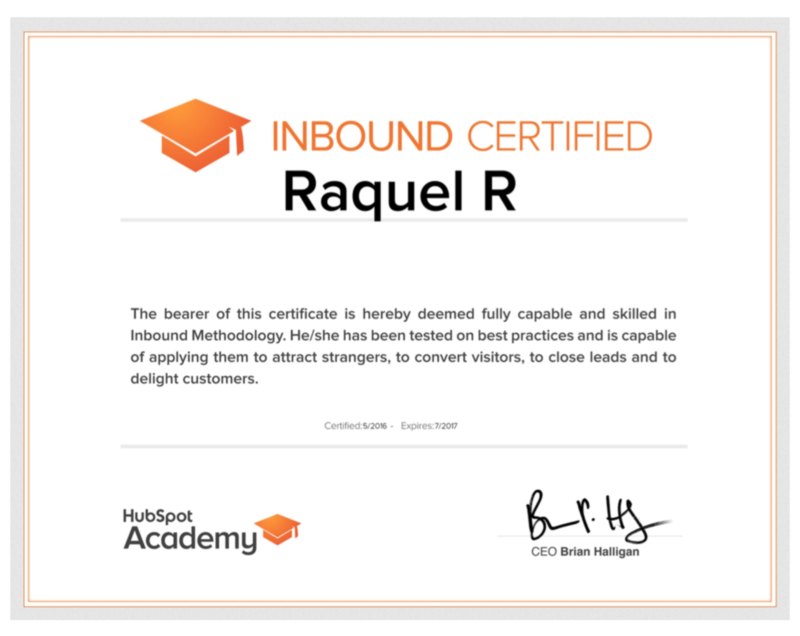 However, whether you are a paying customer or not, everyone is eligible to take the HubSpot Inbound Marketing Certification course and exam for free. The certification is great for any online marketer. Inbound marketing covers a unique methodology that teaches you how to attract visitors, convert leads, close customers, and delight customers into promoters. HubSpot provides multiple different resources to help you study for the exam including videos, transcripts, slides, and study guides. The ability to learn at any pace or style that you are comfortable with will produce a more fulfilled outcome. The results you’ll see, if you start immediately taking action while taking the certification, will help increase your ROI. If inbound marketing is too slow sometimes, start growing by learning about Facebook ads. Facebook Ads allow you to reach thousands of people for a couple bucks. The Facebook Blueprint is designed to help businesses reach their own goals in their own way. The two certifications that they currently offer include the Facebook Certified Planning Professional and the Facebook Certified Buying Professional. Designed to measure advanced-level competency in understanding and applying the skills required for the Facebook advertisers, this certification is a big step in quickly reaching thousands of people. These four free certifications are not only a benefit for any new employee, but a stepping-stone for their future career path. Continued education is crucial to stay on track with the ever-changing world. Start with these certifications today, and continue searching for new ones to come.